Calling the attention of all of our wonderful readers: we have a treat for you! 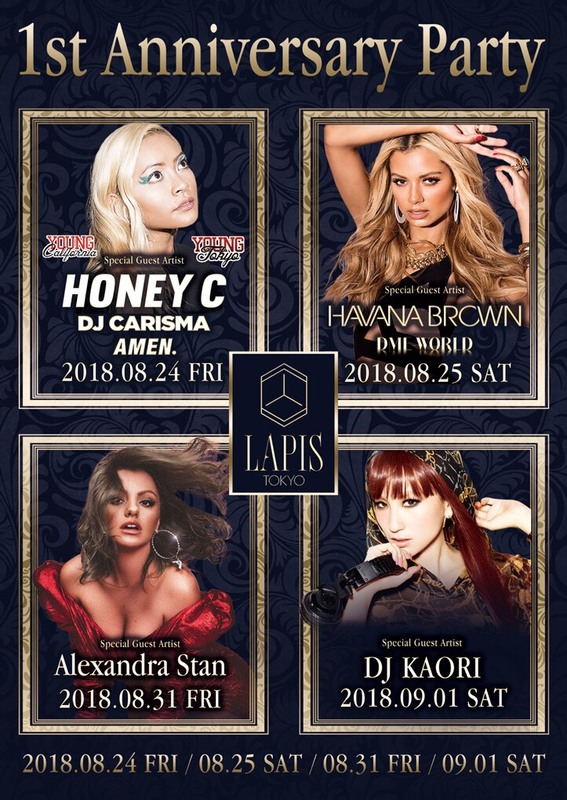 LAPIS Tokyo, one of Ginza’s top clubs, will soon be celebrating its one-year anniversary. Over two weekends, musicians including Honey C, DJ Kaori, Havana Brown and Alexandra Stan—remember the wildly popular summer hit Mr. Saxobeat—will be setting the mood for this massive end-of-summer blowout.